December in Iceland. What to do? 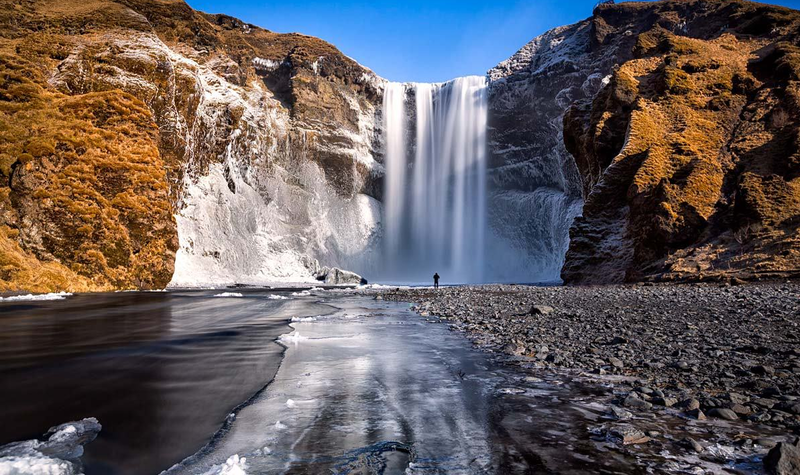 It is difficult to choose the right time to go to Iceland, because each month and each season has its charm. The month of December is one of the most obscure in Iceland. 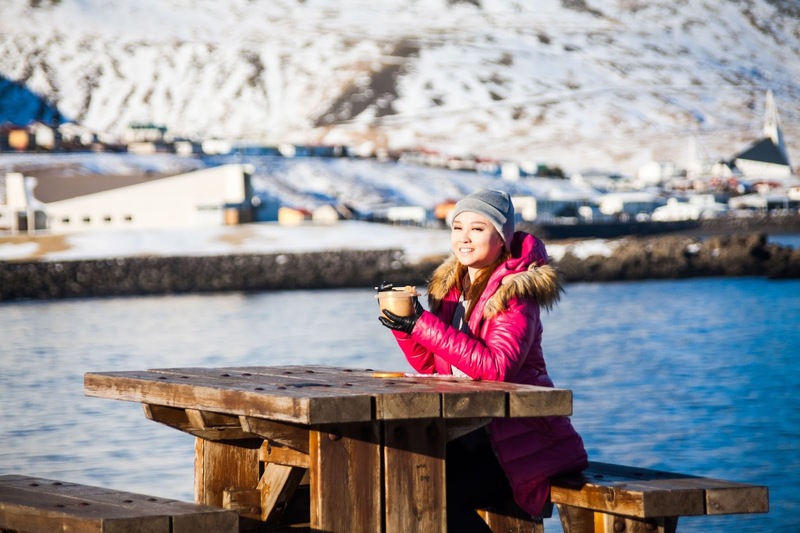 There are very few "daytime" hours but there is a warm feeling with Icelanders busy preparing for the Christmas holidays. December oscillates between two atmospheres, both dark and luminous at the same time. 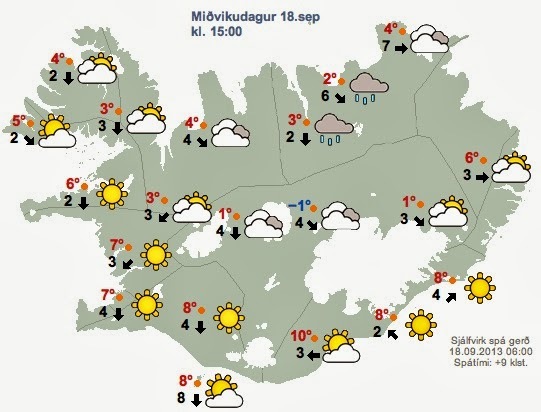 Temperatures for the month of December average around 0 ° C. It is the lack of brightness that seems to thwart Icelanders and travelers! 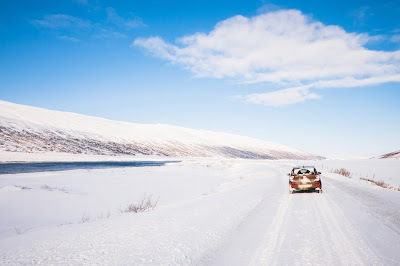 In winter, roads and trails that lead to the highlands are inaccessible, and only road number one is always open – only in principle however, because sometimes a section of this road closes for a few hours if there is too much snow or a storm. Don't worry though, the activities in winter remain numerous, and the landscape covered with white gives Icelandic towns and villages a charming air. Snow scooters, sled dogs, excursions to the northern lights, walks in the city or in the countryside and discovery of the cultural life are all possible choices at this time of year. 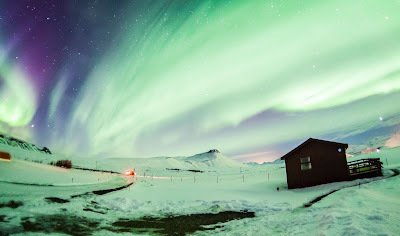 If you like skiing, it is also a very good time to come to Iceland! We can not repeat it enough: go to the pool! 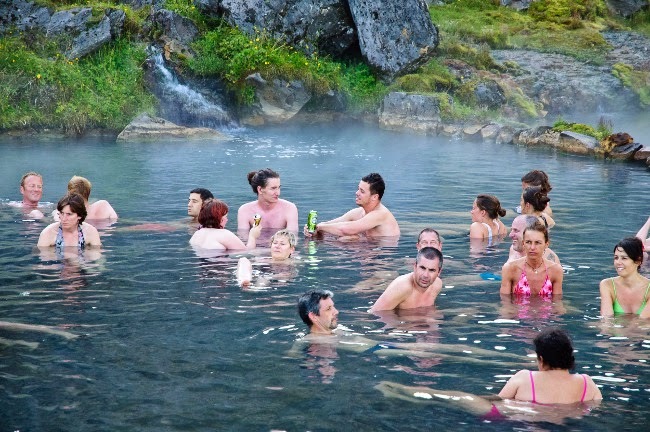 It is a wonderful way to experience the joys of bathing and to get acquainted with the Icelandic way of life. Can we imagine a better life than basking in a bath at 40 ° C, surrounded by snow and darkness? If you prefer a more luxurious experience, the Blue Lagoon or the Mývatn baths are a good idea to have a good time while bathing. 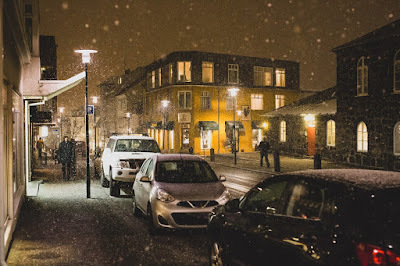 Christmas preparations are in full swing in December; Decorations are everywhere (including cemeteries), Christmas markets, Christmas concerts, special events - Icelandic cities are bustling with festive activities for the whole family. From the 15th of December, all the shops remain open until 10pm, and sometimes 11pm on 23rd December – go through the streets of the Icelandic capital that evening if you want to see the crowds! In Dimmuborgir, in the north of Iceland, you can visit the Icelandic Christmas Fathers (there are thirteen), every weekend in December. Starting from December 1st in Reykjavík, ice-skating is possible in Ingólfstorg in the city centre. 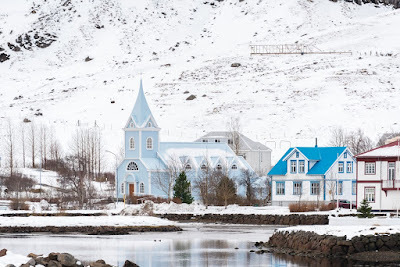 Visit the Christmas wonderland at the town hall, or discover the Icelandic traditions at the Árbær Museum, the Botanical Gardens or the Zoo. This year, Sigur Rós will perform four exceptional concerts in Harpa, and will organize other events for six days between Christmas and New Year. Whether you are in town or in the country, New Year's Eve is a real show! Icelanders buy dozens of fireworks that they fire from their garden or from the street all night until about midnight. To prepare for this crazy evening, you can run the ten-kilometre run of New Year's Eve during the day. December is also an ideal month to discover the Northern Lights, which can be admired in Iceland from September to April. Check out our article on the Northern Lights to familiarize yourself with the best conditions for observing and photographing them. 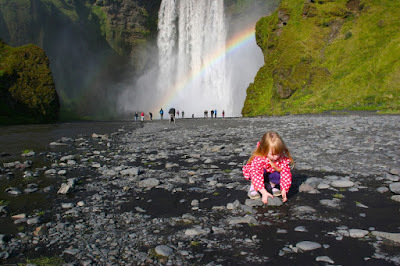 Iceland with children. Travel tips! 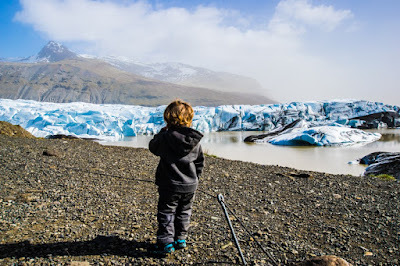 Iceland is a very child-friendly country, and your little munchkins will no doubt be welcomed everywhere in Iceland. 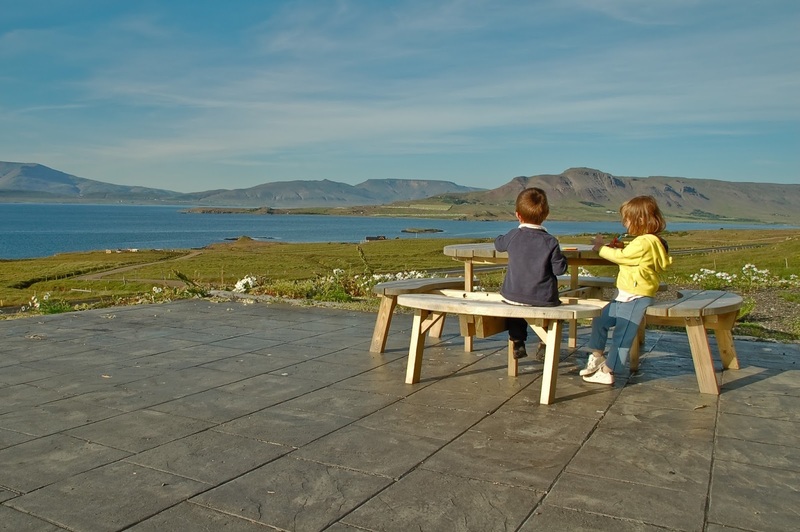 Whether in cafés, museums or the hairdressers, there is often a play area for children. Here are some ideas and tips to take care of your children during your holiday in Iceland. 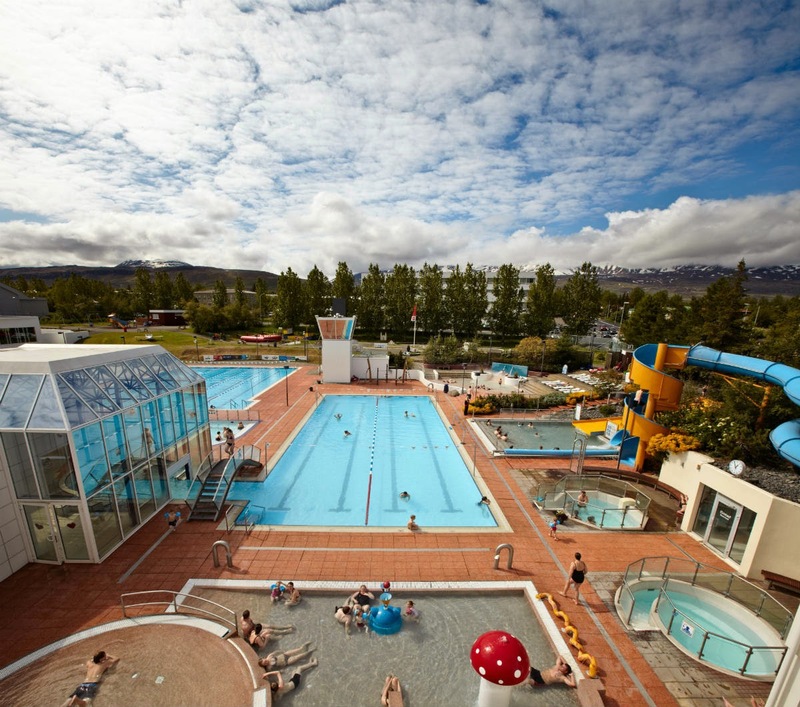 The swimming pools are real institutions in Iceland, and this is a must for your trip. 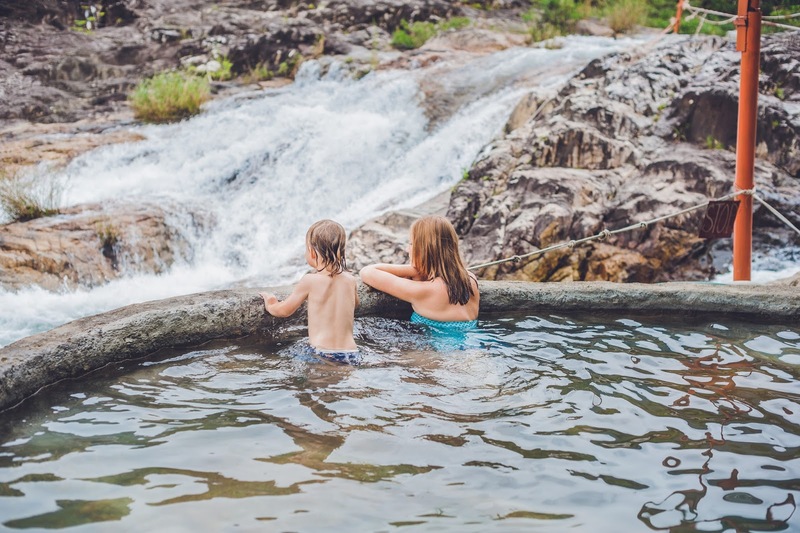 There are hundreds of pools of all shapes and sizes, all outdoors, and the water temperature varies between 28 and 42 degrees depending on the pools. It is an activity that will delight the youngest and the oldest - it is not uncommon, in summer, to see babies of only a few months bobbing in the water. Bathtubs, changing rooms and high chairs are provided to make your life easier in the showers and changing rooms. 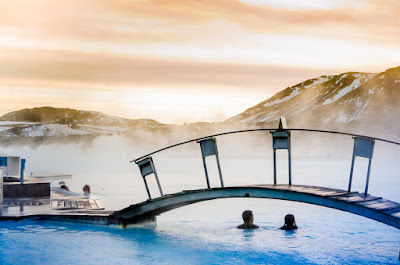 It is better to stick to the municipal swimming pools with your young children as there are no activities or games at the blue lagoon and other natural baths like Jarðböðin við Mývatn or Laugarvatn Fontana so they are better for teenagers or young adults. 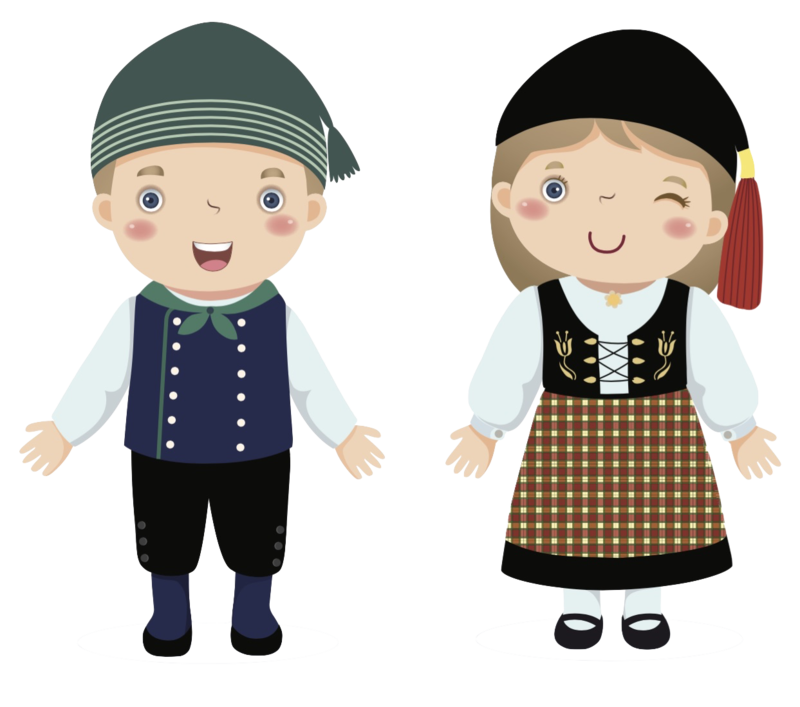 "Paying" activities such as visiting museums are generally suitable for children, and there are often interactive activities during visits that can easily keep them occupied. Whale watching is a fun activity for older children - The excursions are rather long and will seem endless for the younger ones. If you are not sure if your children will have the patience you can try a one and a half hour express tour, but this is only possible from the capital, Reykjavik. 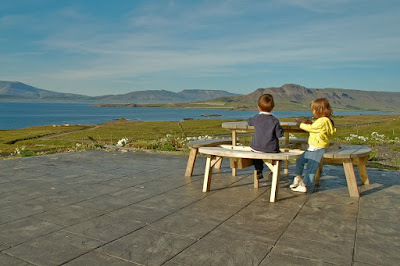 In Iceland, your children are unlikely to be abducted - babies are often seen sleeping outside the cafes in their prams. 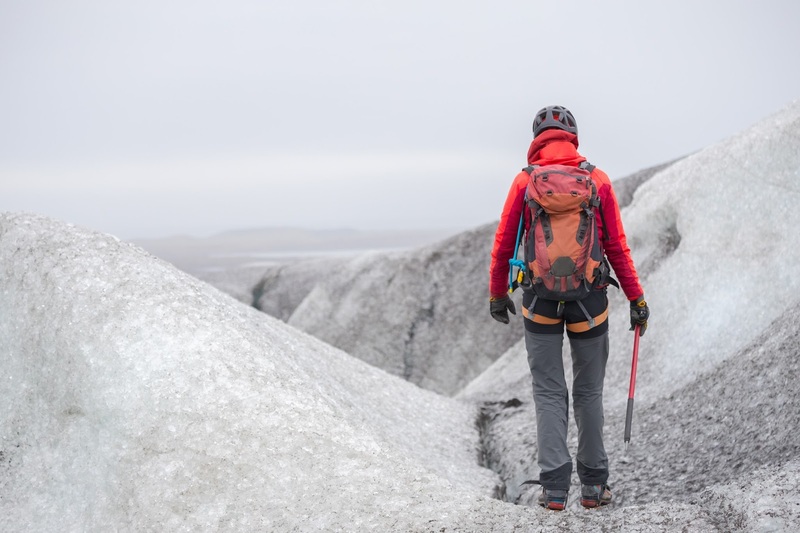 The big danger in Iceland comes from nature, and you have to be careful during your wanderings. The "nature" activities must be adapted to the age and interests of your children. Some places require a lot of walking or are not very safe for young children. Geysir is an exciting place for children, but you have to be careful that they do not pass the barriers or have fun dipping their hands in the boiling waters of the site. 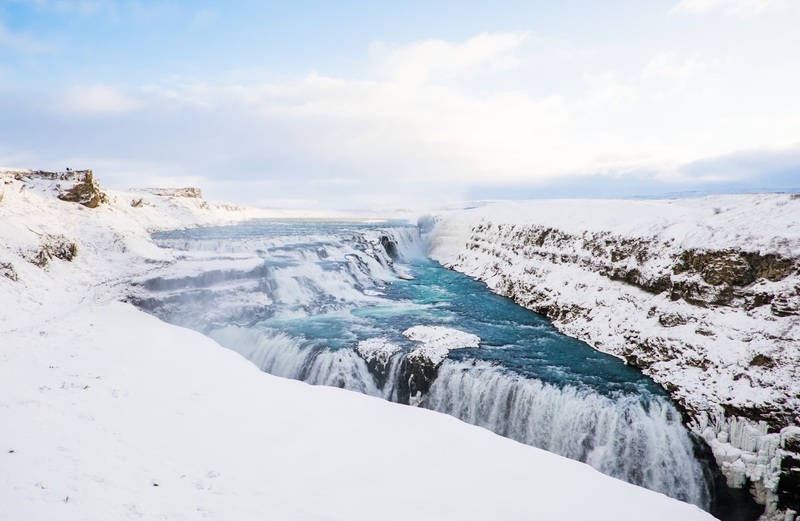 Waterfalls are often easy to reach, but can also be dangerous; Gullfoss, Goðafoss, Dettifoss and other sites are slippery and unsafe. The same is true for the promontories like Dyrhólaey or Látrabjarg - small people (and big) should be wary and not approach too close to the edge. 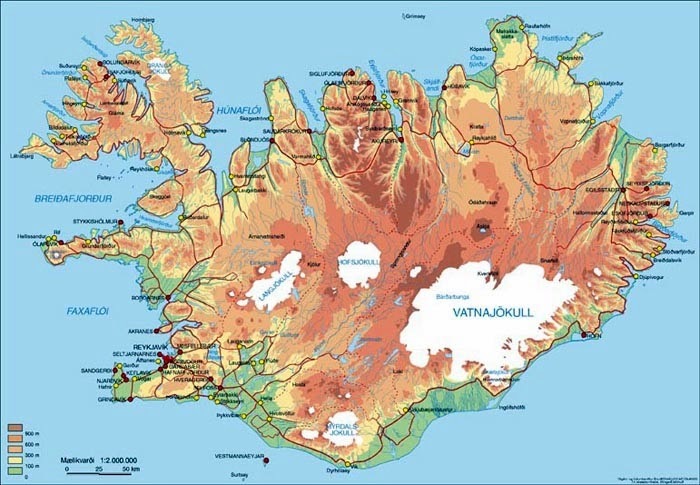 And for the volcanoes that can be visited -Kerið is quite dangerous and going around Krafla in northern Iceland is not suitable for young children. 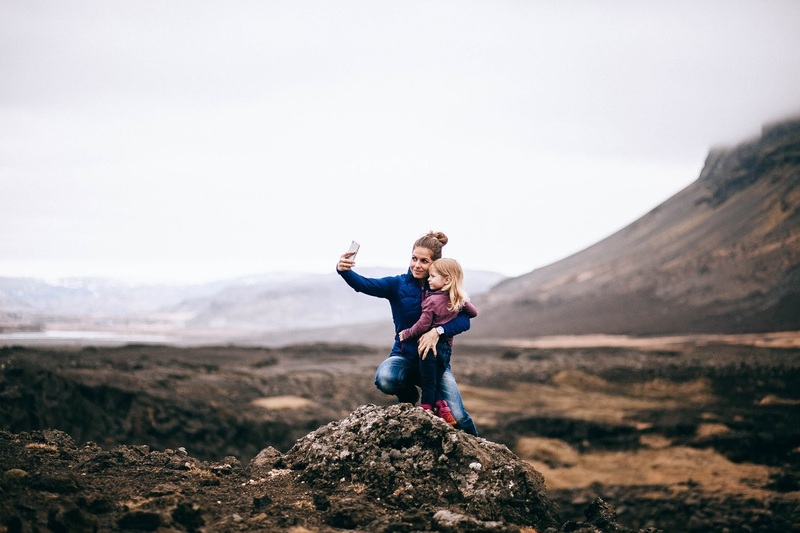 Some beaches are calm and peaceful, and some Icelandic children even enjoy bathing in the summer; However, others are known to be extremely windy and dangerous, especially Reynisfjara in the south of the island. Never let your children get too close to the water. As for the best places to sleep with your family and whether it is wiser to stay at a hotel or rent a campervan...we will come back to that topic again! During the long Icelandic winter nights, you can see in the sky the aurora borealis, a natural phenomenon that turns darkness into a spectacle of colors, and even if the Northern Lights are mostly green, you will be able to see red, violet or other colors. 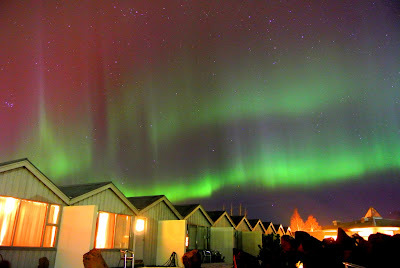 First, to see the aurora borealis, it must be a dark night, with a clear sky and the solar activity intense. 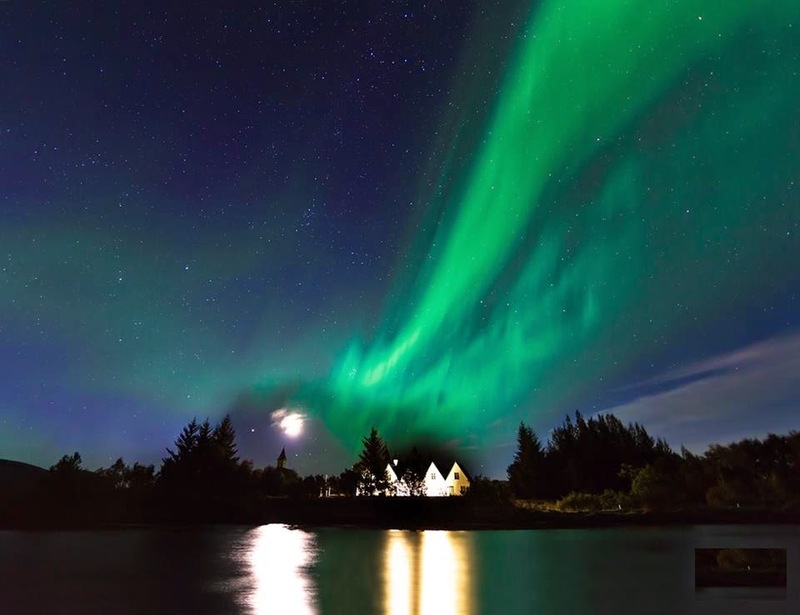 There is no chance to see the aurora from May to August, then, because the Icelandic nights are not dark at this time of the year. December is a good "season" for a chance to observe them, as there are very few daylight hours that month. There are no rules for the Northern Lights. They can occur anywhere, at any time, and last a few minutes or hours. There is no secret when observing the aurora borealis, but your chance in the countryside increases because it is darker there. I happened to see a strong green solar flare just above Tjörnin in the centre of Reykjavík. It is possible to see them over the city lights, but nothing beats the sight of the Northern Lights over a farm in the middle of nowhere. Jökulsárlón has become a very popular destination for photographers and aurora hunters who hope to take the perfect shot of the aurora and its reflection on the river ice and iceberg below. 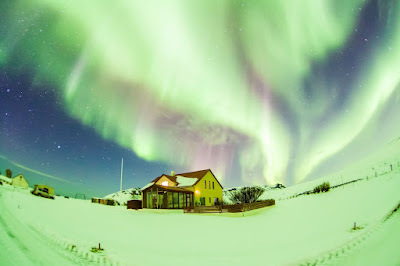 Know that your photos of the aurora will surely look brighter than with the naked eye because a camera can capture more efficiently the light streaming from a solar flare. Do not forget your tripod if you want to photograph the northern lights because the exposure time should be several seconds. 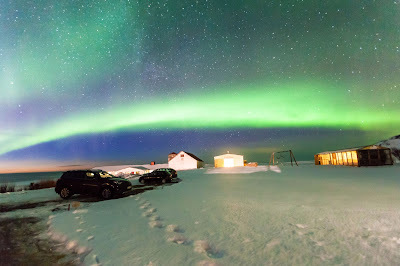 You can choose to rent a car and go independently on a northern lights hunt at night, or book a tourist agency that can organize excursions for a few hours at a low cost, or for longer stays, especially for photographers. Both, Independence or guided tours have their advantages and disadvantages, but tourism professionals know the best places and offer tips to see the Northern Lights successfully. And if you did not get to see them on your trip, almost all companies offer you to join the second trip for free the next day. Prepare your trip conscientiously. 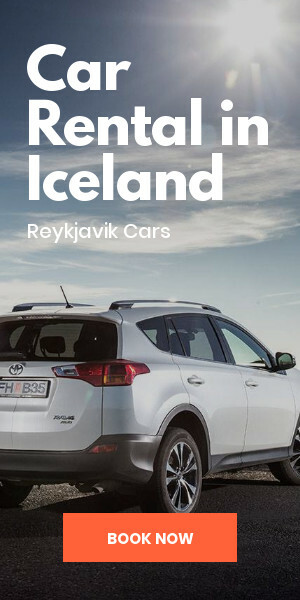 Inquire about Iceland, weather conditions, activities not to be missed in winter and learn as much as you can about your destination. A well-prepared trip will avoid unpleasant surprises upon arrival. If you are going during the holidays, be aware that business hours may be shorter around Christmas and New year’s. Despite all the care you have taken to prepare your trip and fine-tune your itinerary, Iceland, especially in the winter, is unpredictable! You must be ready, especially as the weather can be erratic. A snowstorm may prevent you from continuing your way, causing delays that can last hours or days. It is not uncommon for roads to be blocked due to hazardous weather. 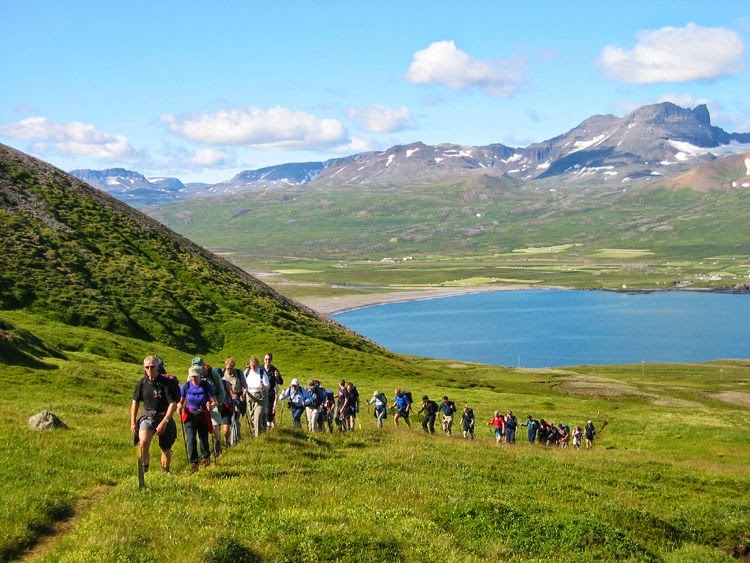 Ideally, your itinerary should be flexible with back up plans, if conditions warrant. 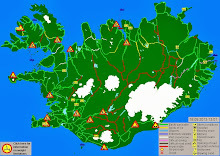 Always check road conditions on the website of the Icelandic Road Administration, www.road.is . Road conditions can change very quickly, and an open road can become closed in a matter of hours. 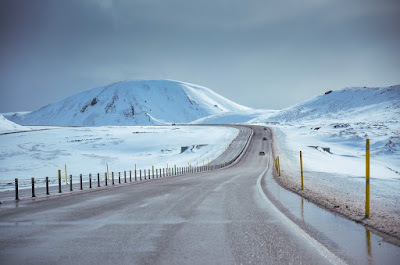 If you are driving on a road that is becoming more heavy with snow and you don’t see any other traffic, it is possible that you are on a route that has been closed due to the weather conditions. Turn around and check the road conditions if you can. Some vehicles may display a sign that says "ófært" or unable, to inform others on the road of the situation. This seems likely to be obvious, but make sure you are adequately equipped when traveling in winter. Warm, waterproof but breathable clothing is essential. Hats and gloves are absolutely essential, as well as good shoes. After considering all our tips, enjoy your stay! Winter is a season full of wonders. 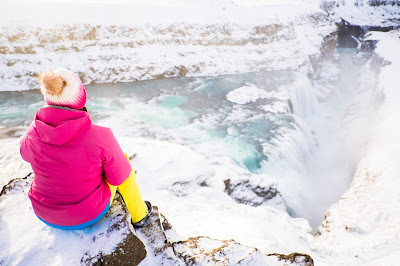 Lounging in a hot spring, joining an excursion to admire the Northern Lights, skiing in one of the many Icelandic ski resorts, there is plenty to do.